One of the most exhilarating experiences in South Africa is to come face to face with one of the greatest predators of the Ocean – the Great White Shark. South Africa’s Gansbaai has been renowned as a Great White Shark hotspot for years and one of the best places to see these majestic creatures. Sightings are good all year round with the peak season being from April to October when success rates on sightings is at its highest. The cage diving is very much weather dependant so its recommended to spend at least 2 – 3 days in the area in case the boat is cancelled due to inclement weather. Your own swimsuit, sun protection, anti-seasick tablets and a warm jacket should be packed as well as a good helping of strong nerves. No diving experience is need as the natural breath hold system is used when inside the cage. 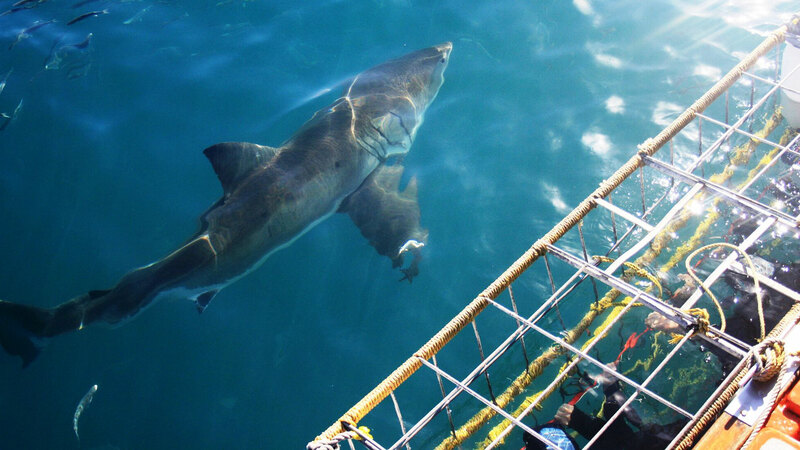 Infinite Africa books White Shark Cage Diving with White Shark Projects who is renowned for their ethics in responsible tourism and conservation. It’s not just about the thrill on the day, but also conserving our oceans for future generations to enjoy.